Lourdes Water & Lourdes Soap Gift Set. 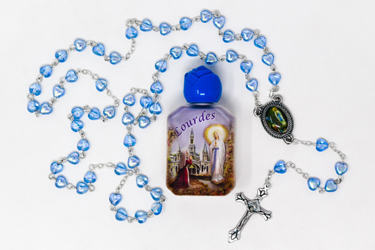 Lourdes Soap & Lourdes Water Gift Set. 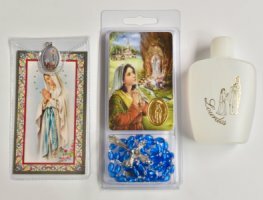 Lourdes Soap and Rosary Gift Set. Holy Water and Peach Soap Gift Set. 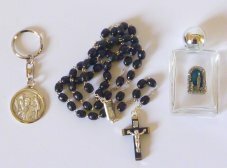 Gold Mother of Pearl Rosary Gift Set. 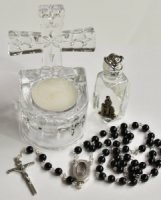 Holy Family Holy Water Font Gift Set. Last Super Easter Gift Set. 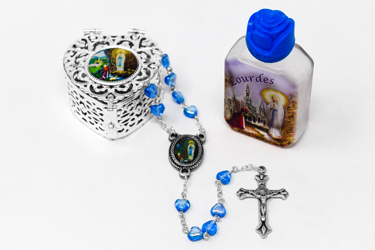 Beautiful Lourdes Heart Glass Rosary and Lourdes Water. 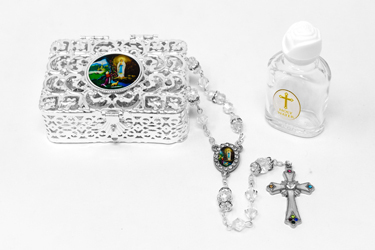 Lourdes Water Cross Bottle & Crystal Rosary Gift Set. 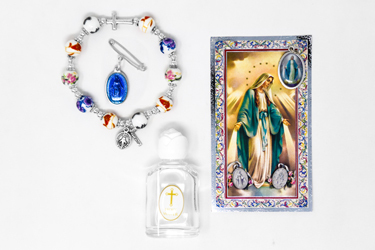 Miraculous Medal Glass Bracelet Gift Set. 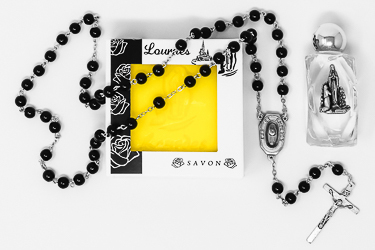 Munrano Rosary Gift Set & Lourdes Necklace. 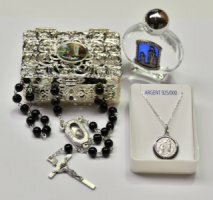 Munrano Rosary & Lourdes Water Pendant Gift Set. 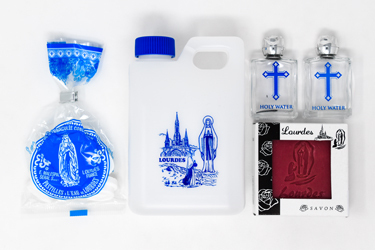 Lourdes Holy Water Font & Candle Gift Set. 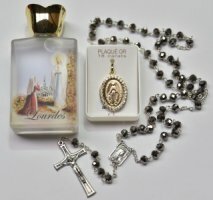 Lourdes Soap & Rosary Gift Set. 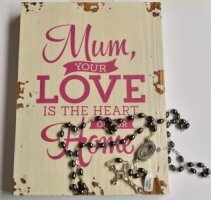 Mum I Love You Gift Set with Lourdes Hematite Rosary Beads. 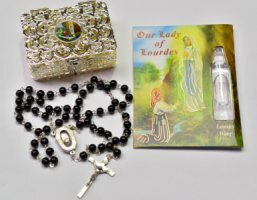 Rosary Gift Set with Lourdes Water Vial. 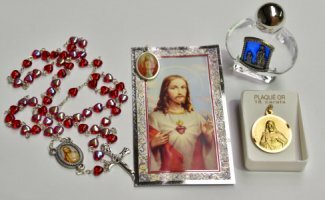 Sacred Heart of Jesus Medal Gift Set. 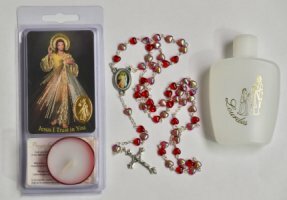 Divine Mercy Rosary Candle Gift Set. 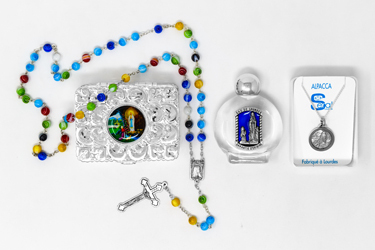 Miraculous Medal & Lourdes Gift Set.